Starting a new project, adding your collaborators and uploading media right from your phone! Once you’ve downloaded our app the first thing you may want to do is start a new project. You can start one in two simple steps. Click on the Plus Sign (+) on the top right to create your project. 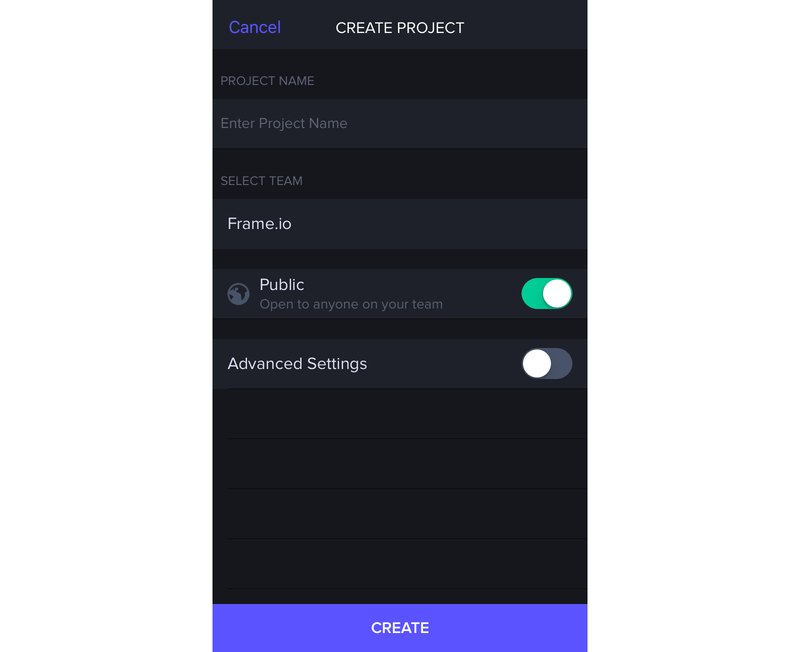 Next, you’ll be prompted to create and name your project then selecting the team you wish for the project to live under, select “create” and you’re good to go! Clicking the “Advanced Settings” tab is where you can set your collaborator permissions and enable email notifications just like within our web app. The project will be empty so the next step is to add any collaborators to your project by clicking on the (+) sign on the top of the empty project space. Take a look at what a collaborator is here. 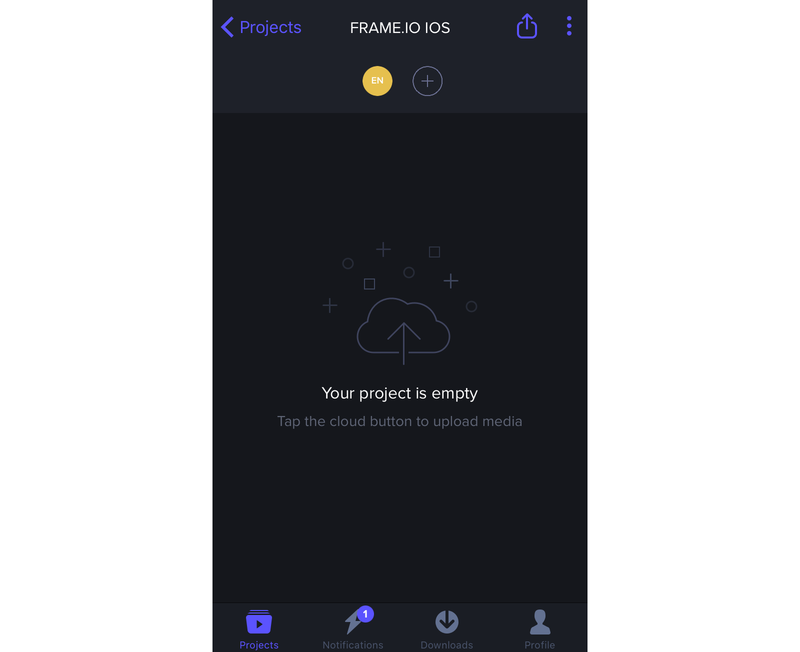 Next, you can upload your media directly from your camera roll or any storage provider you have connected to your phone by clicking on the three dots and choosing how you wish to proceed. Please Note: Adding someone as a collaborator will only give them access to that specific project in your account.